Do you ever get tired of all the beautiful, sparkling lights decorating trees and homes at this time of year? I never do. I love watching the faces of our kids when they spy yet another home all lit up for Christmas. We’re keeping a list, and checking it twice, of all the homes on our block that are lit up! One year every house but 2 were lit up, and it was a special treat. Most of us say that our homes are at their most beautiful during this time of year, but not everyone has the means or ability to decorate. Charitable Christmas giving can go beyond a bag of groceries or a donation to the Salvation Army. Is there a senior citizen in your neighborhood or a family struggling to make ends meet who would love a strand or two of lights scattered around their front yard? An inexpensive wreath and window decals can add a touch of extra Christmas spirit to a hospital room or the smallest apartment. You might even have an unwanted artificial tree sitting in the garage or attic that might be an appreciated gift to someone who won’t be able to afford a real one. A couple of years ago, my daughter got together with a group of friends and they made beautiful holiday cards, ending up with 70 or 80. The following day, one of the moms took the kids around to a few nursing homes where they delivered the cards to the residents there. So many of these elderly folks have been forgotten by family and rarely, if ever, get a visitor. If there’s just one thing I could urge you to do this Christmas, it would be to find a way to reach out to these lonely hearts. And don’t forget families who celebrate Hanukkah. Blue and white lights, a box of Hanukkah candles, and, of course, a plate of homebaked goodies spread the real meaning of the season. 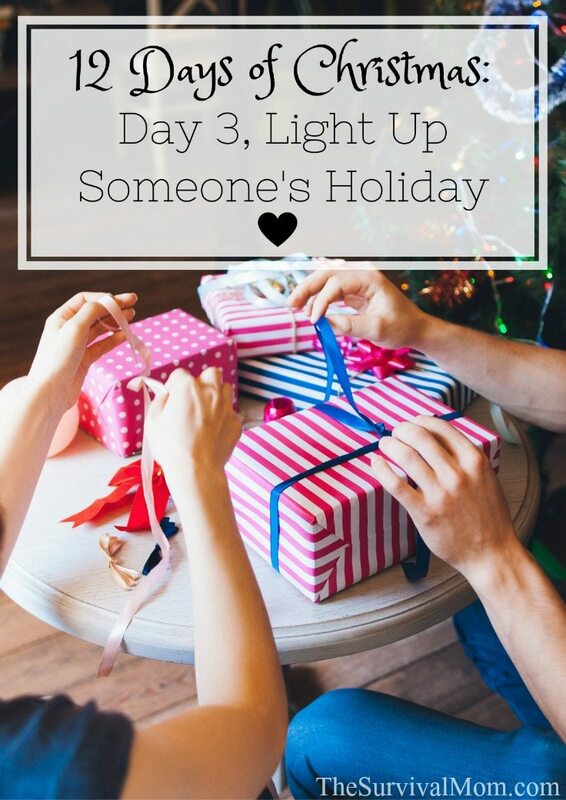 Charitable “Holiday Buckets” can include simple decorations for doors, windows, and mantles, as well as groceries, baked goodies, and small gifts. Over the years I’ve donated dozens of Christmas decor items to Goodwill and other organizations, so I’m certain you could find holiday decorations at thrift stores at very low prices. Just make sure they are operating, in the case of lights or music, and in near-new condition. Another way to enjoy the holiday lights is to give a homemade certificate to the “First Place Winner” among all the homes decorated in your neighborhood. Last year we handed out two certificates, left them by the front doors, actually, to the two homes we thought had the best light displays. It was fun biking around our neighborhood late at night, and then having a family pow-wow in the freezing temperatures to make our final choices! This season can be one of beauty, warm memories, and there are thousands of newly unemployed people, and more families than ever who won’t have money for gifts and all the other holiday traditions of the past. 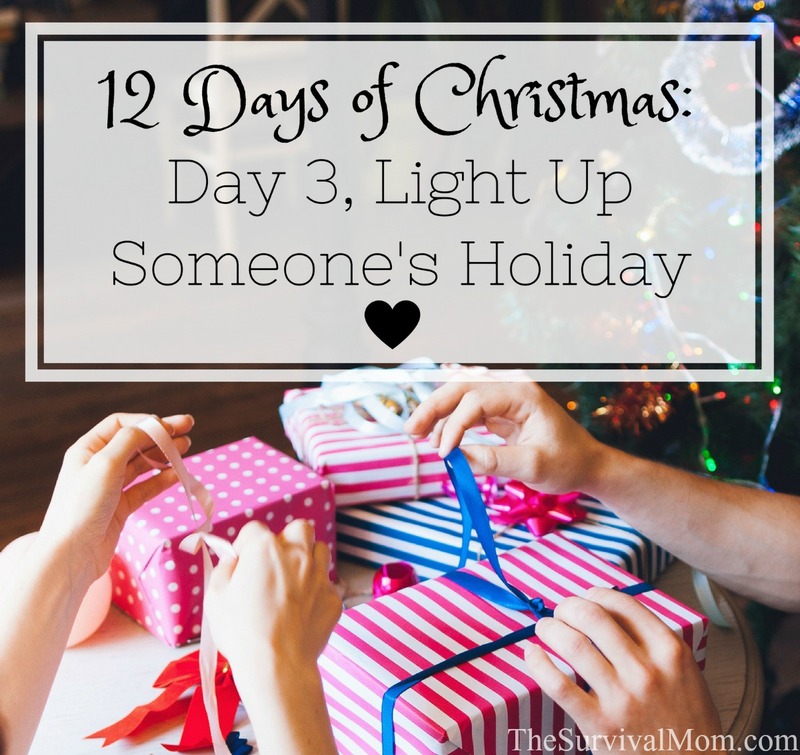 This Christmas, more than ever, let’s all look for ways to light up someone’s holiday. Great reminder to make time to do nice things for others. I know I get so caught up in all the things I think I "need to do", but forget the things I REALLY need to do! Some of those food "preps" can be put in a box and delivered to a widow neighbor. Include some of your home canned items and maybe a crossword book. I know that I am coming late to the party but I just found your site. I think these are all wonderful ideas but might I add a suggestion? Many people go to nursing homes and the like at Christmas time but the people in them are then forgotten the rest of the year. Try to make it a point to maybe go once every month. If you like carols at Christmas try show tunes or folk songs at other times of the year. If you go to the same nursing home every month have everyone in the group adopt a different grandparent. Bring some kind of baked goods to be shared by everyone.